Remember when people used personal computers - desktops and laptops - to check email, view video and keep tabs on Facebook? 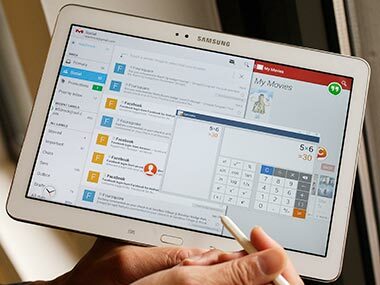 With the Galaxy Note 10.1, it's clear some of the functionality we've long associated with PCs is coming to devices we're just getting to know. As the festive season starts in the country, electronic giants are keen on making their latest releases available in India at the earliest. Samsung's researchers and a team of Dallas scientists have shown working proof of a tablet controlled by the user's brain.